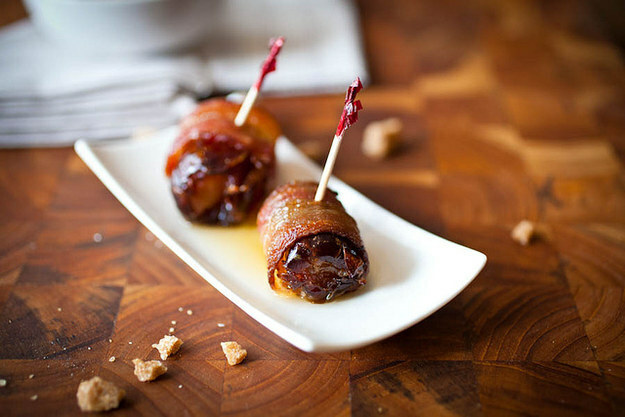 From the brilliantly clever people at The Crepes of Wrath … Bacon-Wrapped Dates! With surprises!! No wonder these little beauties are known as “Devils on Horseback” — they pack a powerful, naughty punch with spiced poached pears, crispy bacon, and sweet, chewy dates. Recipe here.